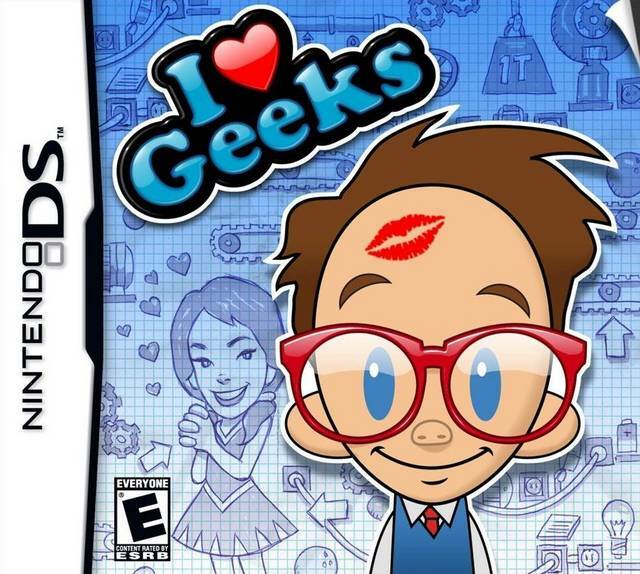 I have come back home from a hectic Christmas full of traveling and gorging on food to find a review copy of I Heart Geeks for the Nintendo DS. This title is a puzzle game full of a hundred plus brainteasers for all ages to enjoy. 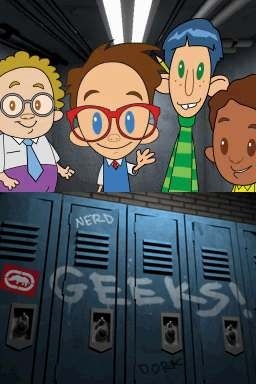 The basis is simple and one that we have seen numerous times before, in which a less than popular kid in school must compete with the bullying jocks for the heart of the cheerleader, however this time it is visualized through the minds of the talented folks at Marc Ecko Entertainment and the puzzles strongly use mechanical and physics based principles for completion. When I first started this title, I didn’t know what to think as it is clearly targeted for a younger demographic. 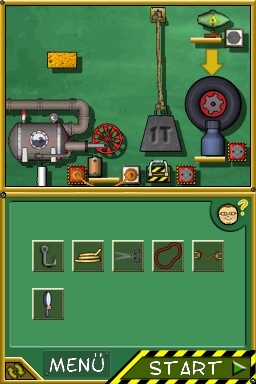 The thing is however, that after playing through the tutorials and getting into the story, the puzzles get harder and harder, with the introduction of new items and multiple rules of level completion, it quickly goes from and easy problem solving game for your child to a game that your child will ask you for help with and you will find it hard to give back. The art style of the characters have that familiarity you find in some of Ecko’s work, but the puzzles do not have that same feelings. The puzzles are physics based and start off as basic as putting a platform here to getting a falling ball across the screen into a basket using a spring and a platform. This title focuses heavily on the use of a stylus, and though you can use the buttons at times for fine tuning placement and rotating platforms enough that you will be able to complete the task at hand. Though I don’t fault the stylus-based gameplay, it just seems that this game was originally meant for another platform, one with multitouch and more screen real estate, particularly the iPad, as the game play principles could be easier executed on the platform. 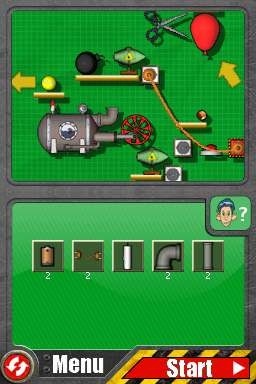 Lastly, the only other issue in which I had with this title, was the interface, as you have to select the item(s) in which you wish to use to complete the level, swap screens, place your items, start the physics in motion, and repeat to fine tune placement and restart until your goal is completed. I had a rather pleasant time with I Heart Geeks and admittedly, I did fear that this game was targeted for a much younger audience, but given some time with the tutorial and beginning levels, you will quickly learn that the puzzle’s multiple solutions and increasing complexity will tax anyone’s mind. The concept is also one that is generally successful across the board as it is easy to pick up, complete a couple levels and put down, or play throughout that chick flick you had promised to watch with that special someone and you are looking for a way to make the time pass faster. 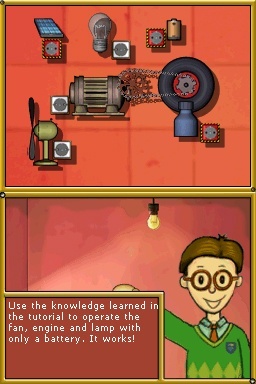 Unfortunately the replay value was minimal as once you complete a number of the brain teasers, it is difficult to go back and try again, after already knowing how execute the sequence for a successful completion.